Keep your yard in top condition with our August tips of the Month. Prepare for fire season - If you live near the native chaparral, reduce the fire risk to your property by pruning dead vegetation from trees and shrubs (especially near structures). Cut tall grasses and weeds to a height of less than four inches. Feed annuals and vegetables- Continue to fertilize warm season flowers and crops every two to four weeks, especially those in containers. 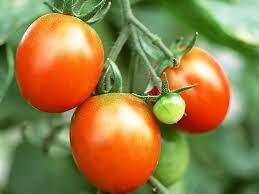 Except for tomatoes, too much nitrogen will cause vegetative growth, not fruit production. Feed turf- Give warm-season turf such as Bermuda and St. Augustine a light feeding with a high-nitrogen fertilizer. Water adequately - Shallow-rooted plants and container plants may require daily watering during hot days. Large shade trees need deep irrigation on a monthly basis. Deciduous fruit trees should be watered every 10 to 14 days. Water tropicals deeply every 5 to 7 days. Water Bermuda grass lawns once or twice a week, tall fescues two to three times per week. 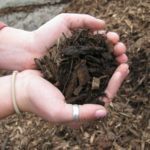 Replenish Mulch - The addition of mulch improves the soil, makes the garden look tidy, significantly deters weeds, reduces water evaporation, keeps soil temperatures down, and prevents clay soils from crusting. Mulch needs to be replenished periodically due to water run-off, wind, raking of leaves and decomposition. Check mulched areas to ensure you have 2 to 3 inches of mulch throughout the planting bed. Dethatch warm season grasses- Bermuda, zoysia, St. Augustine and Kikuyu typically build up a thatch layer over time. A thatch layer that is a half inch or less is fine. It is conserving moisture. 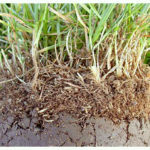 Thicker thatch layers prevent water and nutrients from penetrating the root zone. Late summer is a good time to dethatch because these warm season grasses will spring back quickly since they are actively growing. Thank you for the good tips! Last week in a neighboring property there was a small fire and I had just cleaned the garden from dead vegetation and cut tall grasses and weeds to a height of less than four inches, as you mentioned above. 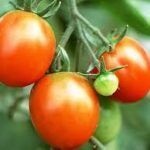 I'm so thankful I found your article on time and saved my garden. Thank you for all the tips!